Complimentary valet parking is offered Friday through Sunday. available as an option with a food and beverage minimum. After relaxing with our signature Lakeside Libations in the Great Room Lounge, sit down to a flavorful meal in the lakeview dining room prepared by chef de cuisine Shane Hammett. 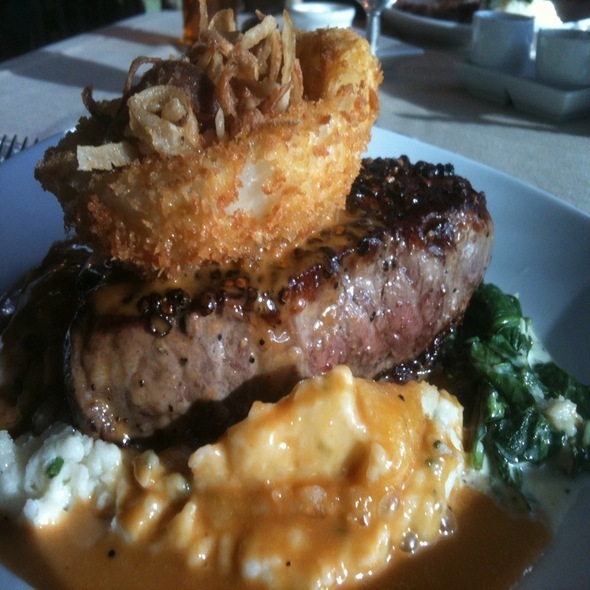 Lone Eagle Grille features all natural beef as well as elk, bison, king salmon, trout and baramundi. 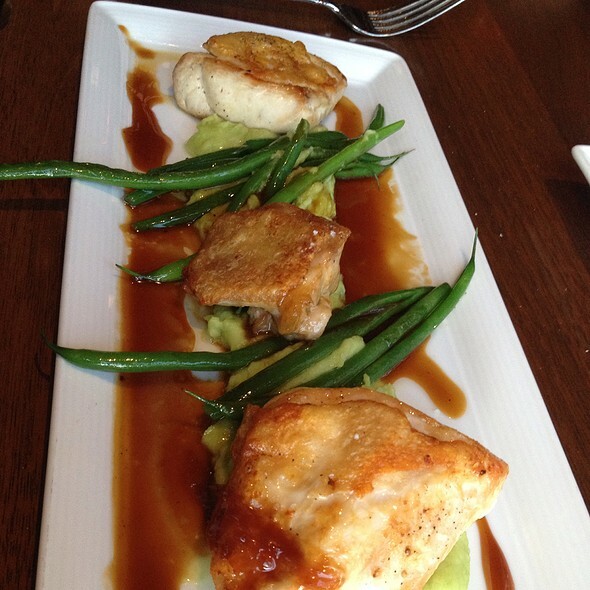 We focus on locally sourced ingredients with a menu that changes with the seasons. A full vegetarian menu is available. The decor is amazing with the 2 rock Fire places, open wood beams, and raw wood tables and chairs on the Tahoe shore. No disputing the atmosphere is great but I feel thats the justification behind the price. Although delicious I don’t know if 2 small Scollops are worth $23 or 2 small lamb chops are worth $48. I don’t mind paying the price if the porción are fare just seemed small. We did make reservations for 2 but still had a half hour wait when they tried to place us on a large shared table. We refused and went back and waited a few more minutes. Again back to the atmosphere, for that location I’m not sure if there is another place that close to the water. They had us wait 45minutes with our reservation. We had apps, cocktails while waiting and the app was good but the drinks were not. Finally got seated and hoped we would get decent seating for the wait, but just got seated on the other side of the fireplace where we had been waiting and it was not pretty. Had bison and elk along with the special dessert but overall very disappointed. Waited over an hour for a table when we had reservations. Service was slow. Food was good. The manager did send a complimentary bottle of Champagne after we complained. Great setting and food was very good. My pet peeve is that I am a wine drinker and this is the first time I haven't had a glass of wine at dinner in a very long time. I always bring my own bottle if I can't find something on the wine list. In this case, the wines were marked up 400% over retail and the corkage fee was $50 a bottle. Are you kidding me? This is a matter of principle. If the wine manager doesn't want people to drink wine he is doing a great job. The restaurant is very attractive inside and sits on the lake but that doesn't translate into "Now let's make them pay dearly if they want some wine". A real wine person understands that drinking is a tradition and that tradition should be honored with reasonable mark-ups so guests can enjoy the nice food, the nice setting and, yes, a nice bottle of wine. Great spot in Incline. 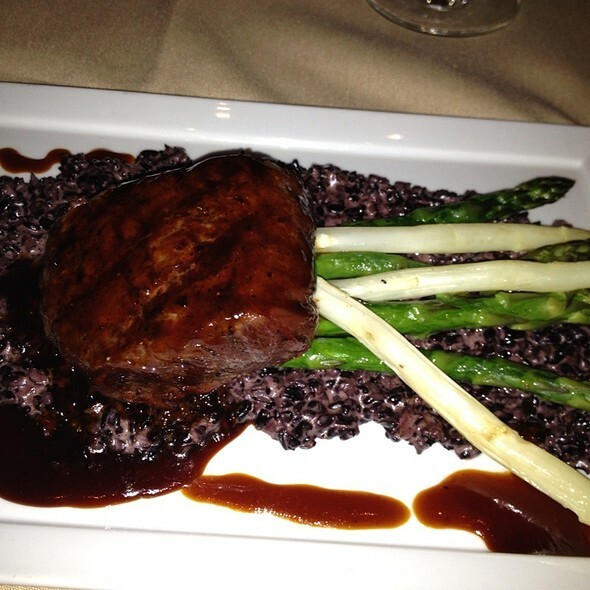 The service is always great and the food is top notch. A bit pricey but you can't beat the location/experience. We hit this place on every visit. We have enjoyed NYE here for many years. When they are not in completion with expensive menus at other restaurants common on 12/31, the experience lacks “bang for the buck” and is not that interesting. Markups on bottles of wine seemed especially steep. Pork chop Over cooked. 63.00 steak under cooked! Pork chop redone and good steak thrown back on grill was good. Got dessert for our 2 birthday folks which was nice. For a VERY EXPENSIVE Restaurant no little I’m sorry. No discount nothing. Not cool at all! The view, the food, the service!? All top notch! Great place for a leisurely Sunday Lunch on a sunny day! 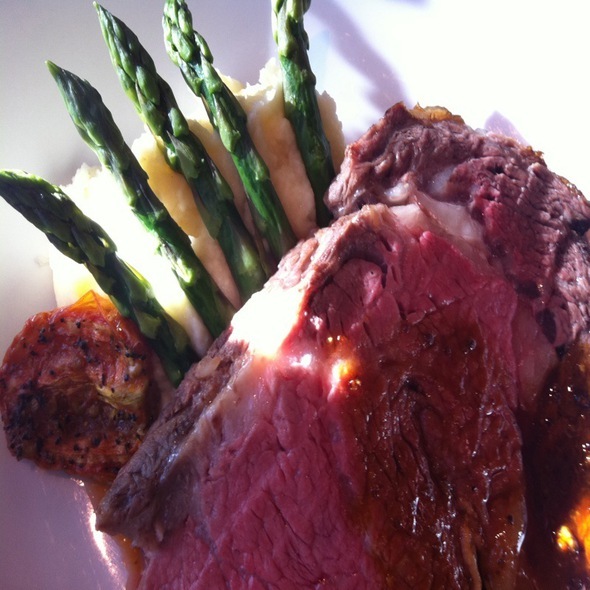 Lone Eagle Grille is a great meal, for lunch or dinner, and is on our "must" list every time we visit Tahoe! We loved this place the views is amazing and the food was phenomenal. 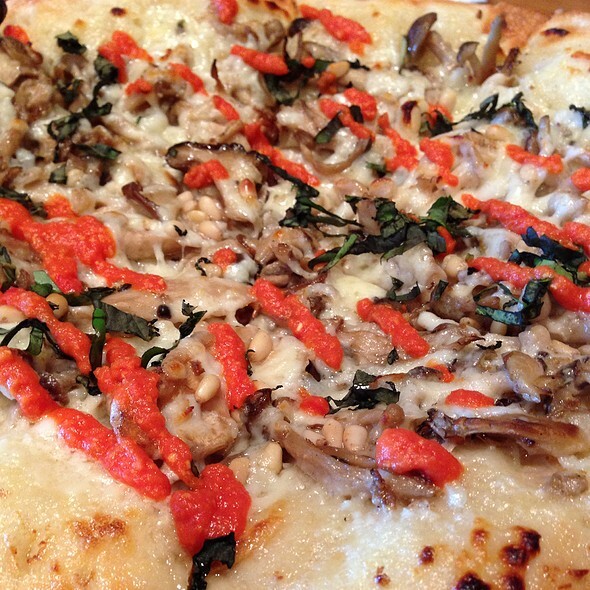 Sorry to hear that you will no longer have pizza after the remodel. Always a wonderful experience... Our server,Deb was extraordinary in every respect . What a great way to introduce my friend to Lake Tahoe...! Good food, good drink, great staff and priceless view. Another perfect dinner. I love Lone Eagle Grille. There could not be a more beautiful setting; the food is always excellent and our service was impeccable! If you haven’t been, definitely go! Made a reservation but table wasn’t ready for 15 minutes. Got a drink at the bar during our wait. Excellent service at the bar. Once table was ready we were seated at my requested window table. Beautiful view of lake! Wait staff was very friendly and accommodating. The food....absolutely amazing!!! Ordered way too many dishes...but we wanted to try as many as possible. 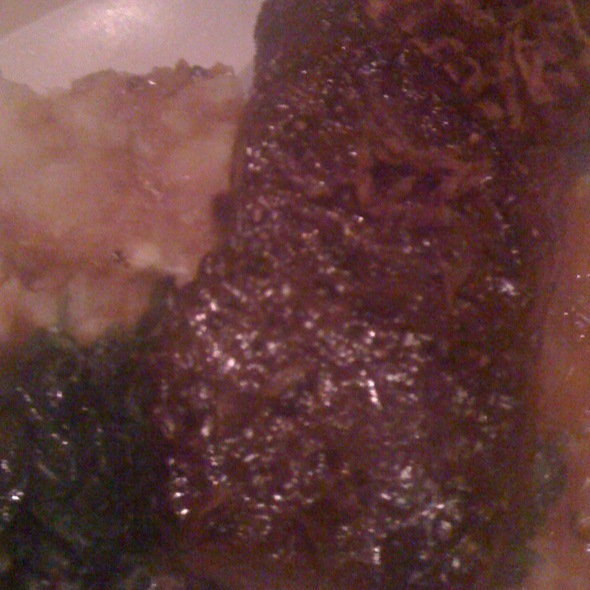 Rib eye was fantastic, salmon delicious!!! We had a wonderful experience and look forward to coming back! Food was OK, prices were extremely high especially for the menu and quality of food. 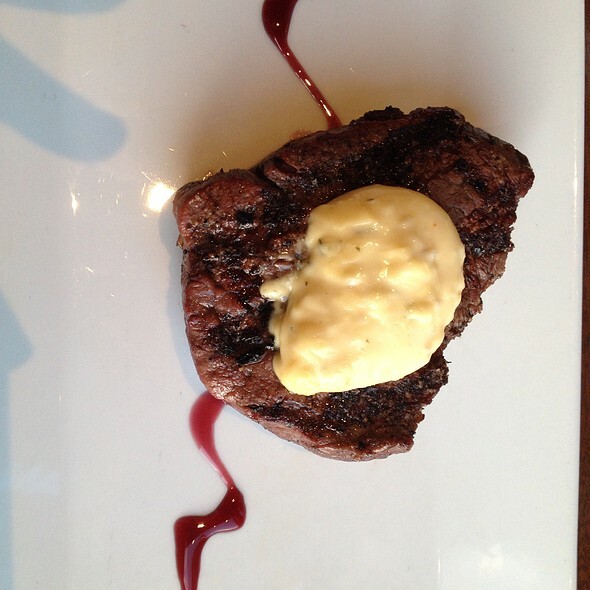 A $61 filet mignon was average with a nondescript sauce. Wine list is extensive and extremely overpriced even by restaurant standards. The corkage fee is $50.The corkage fee tells you all you need to know about the Hyatt’s approach to ripping off tours at Lake Tahoe. Not recommended unless you don’t mind paying a couple hundred dollars for two people to enjoy a nice view of the lake. My daughter ordered pasta. It came half full was water mixed with butter. It looked like it wasn’t drained after boiling. The manager was very nice and too it off the bill. The lamb was also bland amd chewy. The cookies that came with the kids meal were stale and lacked good flavor. Excellent food. A bit pricey, but its Tahoe. Great place for a romantic dinner. We have eaten at lone eagle grille at least 15 times over the past 25 years. We keep coming back! It never lets us down. Waiter spilled on my mothers coat as he was serving her clams... the staff went above and beyond to fix the situation. The sunset was incredible as well as the food and staff! Thank you! Great and romantic time with my wife while on Hyat for a weekend. All the hotel is great and Lone Eagle adds a lot the experience. The Lone Eagle Grille is a beautiful restaurant and bar right on the Lake. However, the food was less than spectacular and we were all really disappointed, especially with the cost of each meal. Service was outstanding at the restaurant! Good food. Good service. Great atmosphere. Can’t ask for much more. Steaks definitely have a smokey mesquite flavor to them. I wasn’t sure how I felt about it at first, however I really enjoyed my steak and thought it was a nice difference to my usual steak house experience. Linguine and pork belly appetizer were very flavorful and a great choice. Service is top notch. 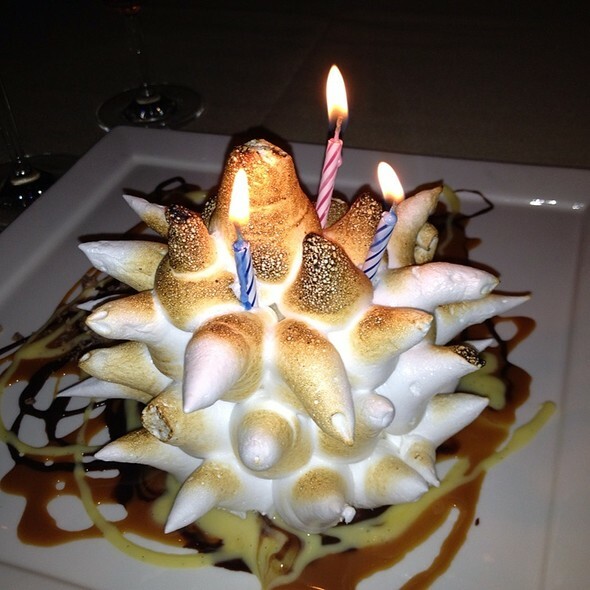 Baked Tahoe desert (aka baked Alaska) was really good and not my usual order. It was light, beautifully presented, and something you don’t see on menus. Sommelier picked out a perfect wine for us and we were very pleased with her suggestions. Waited 30 minutes past our reservation time, but management took care of us with a great table and complimentary appetizer. Overall, they did a great job. It was really busy and the place does tend toward being quite loud. The views are fantastic so I’d urge you to go before the sun goes down to really appreciate its location. Service and view were excellent , fish was awesome but Duck breast didn’t taste well made at all . But in a Resort area, probably as best as you can get . Enjoyed the meal and time indeed ! Always an enjoyable experience. We never have been disapointed. Service, food, atmosphere all exceptional. Always a great experience!! Everyone is extremely pleasant and professional. I appreciate their making time to talk to me and making sure all of my needs are met. I feel right at home. Of course, the food is exceptional and wonderfully prepared and presented. Dinner was fabulous, as was the service and ambiance. Noise level was low compared to most restaurants. They also have delicious options for vegetarians. I have absolutely no complaints! We enjoyed it so much we had to go back for a second visit before heading home. Very highly recommend! Amazing food, worth the price. Wish the wine list had some more reasonable options especially with a 50.00 cork fee. My wife’s birthday. We had a wonderful time. Food was excellent. Hats off to the cheif......Food was perfectly prepared. Michelle the sever did an excellent Job and Michelle the Sommelier picked an excellent wine to complement our terrific dinner. I thought the food was very good as well as the ambiance. The wine list prices were very inflated and even though we did not bring in wine, a $50. corkage fee is too much. That was my only complaint. This is the second time my husband and I have eaten here (we moved to Tahoe last July. The service is amazing. Both time we ordered the bison filet and it was cold. We sent it back and they re heat it, but it takes away from the experience.